Squeeze this liquid filled fidget ball to watch bubbles of a different color pop out from the mesh net. 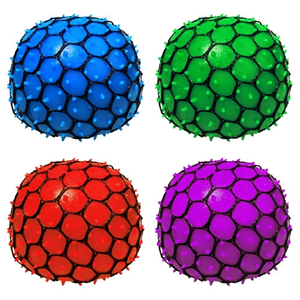 The mesh squishy ball looks like a handful of fun rubbery grapes when squeezed hard. Plus, it makes a squishy gurgling sound with each squeeze. NB Price is for one ball. Specific colours cannot be requested when ordering. 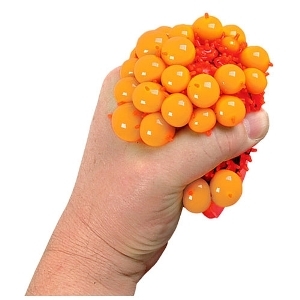 Use for rehabilitation, hand strengthening or providing stress relief for the fidgety person.